Cornering and descending are sometimes overlooked aspects of cycling. However, in racing, descents can sometimes makes the difference between winning and losing. Team Sunweb has been focusing on this part of racing by organizing training sessions with downhill specialist Oscar Saiz, and the team aims to continue to search for improvement in every detail. 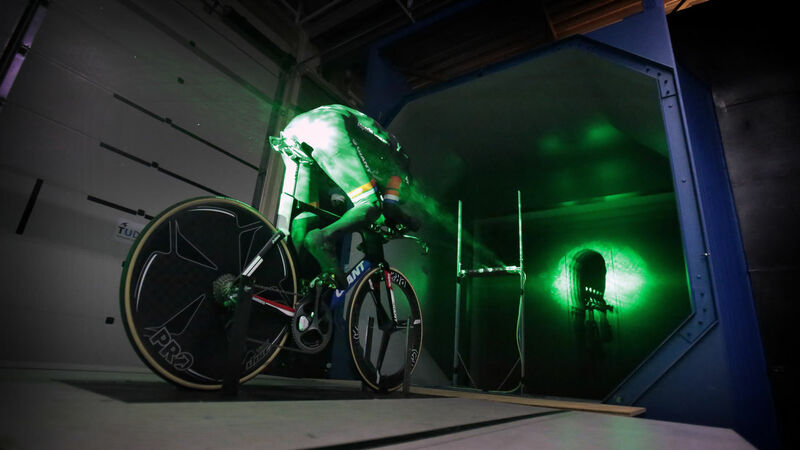 Through the partnership between the TU Delft Sports Engineering Institute and Team Sunweb, the team benefits from various university resources, and the team’s scientific expert Teun van Erp coordinates several projects. One of the innovation projects led by van Erp is a project designed by Niels Lommers, a graduate student in sports engineering at the TU Delft, who made one of the first road bikes in the world equipped with sensors to trace the rider’s movement and thus enable the team to analyze the descent and improve the rider’s descending abilities. The first experiment was conducted during the team’s training camp in La Plagne, France, resulting in some interesting outcomes and insights. Van Erp explains: “The training in La Plagne was the first real test in developing this measurement system. We have already seen very interesting results by analyzing the riders’ handling and cornering on the descents. We measured differences of three to four seconds between the fastest and the slowest riders on a descent of 1km. This adds up to a minute lost on a long descent of 20km, which is very common during mountain stages. It is especially interesting to see what makes the difference between fast and slow descenders. This information is valuable data that we can use in coaching our riders to improve their descending skills. “This is only the beginning,” continues van Erp. “Now we will sit down together with the TU Delft Sports Engineering Institute and see what the next step will be. We want to develop this way of measuring and start using it more and more as we continue to search for improvement in every detail.